Are you planning on building RV storage for yourself or for your self-storage business? Consider ordering a pre-engineered steel structure. Steel buildings deliver the strongest, most durable structures at the best price. Did you know that 75 million people in the U.S. go camping every year? That is an incredible 61% of all U.S. households. 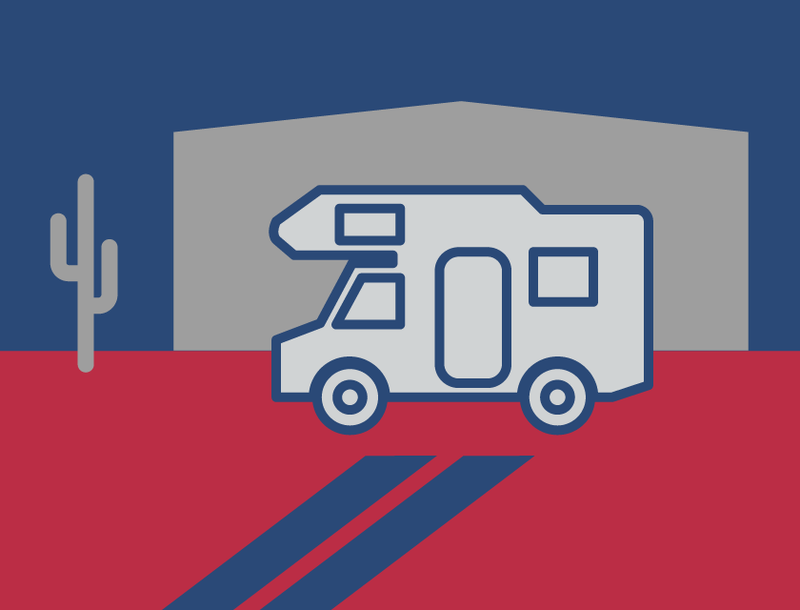 In fact, over eight million American households now own an RV. And that number is growing. Industry experts predict RV sales to top half a million dollars next year. Over 140 million Americans also go boating each year. Current estimates say over twelve million boats are registered in the U.S. But where do people store those camping trailers, fifth wheels, motor homes, and boats between excursions? Vessels and RVs represent a sizable investment. In fact, some luxury motor homes now top one million dollars! Consequently, these babies deserve the utmost in protection. However, with new home lots shrinking and RVs expanding in size, storage presents a challenge. Moreover, many neighborhoods restrict residents from parking curbside. And sitting on the street is not the safest place for high-priced travel toys anyway. Successful storage rental facilities see an opportunity in this RV predicament. 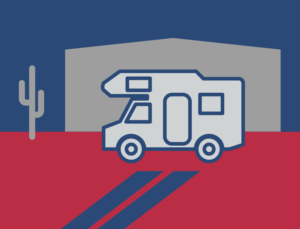 In many locations, self-storage businesses find RV and boat owners eager to rent space in premium storage facilities. If your home has ample space— and no neighborhood restrictions— consider building your own steel RV or boat garage. A prefab metal building provides the ultimate defense for your recreational investment. It keeps your boat or RV nearby, eliminates renting storage space, and increases your property value. Homeowners might also consider adding space for a game room, shop, man cave, or guest room and bath. But where do you go for the best RV storage structure? Go to RHINO. There are no limitations on a RHINO storage design. Choose from a completely enclosed structure, a “manger” style building with only three walls, or a roof-only shelter. RHINO metal buildings offer the same great benefits to storage business owners and homeowners: ultra-strong buildings at an affordable price. Discover the RHINO Difference in RV garages and storage buildings. Just call RHINO now at 940.383.9566. Our highly trained and courteous metal building specialists are here to assist you through every phase of the design and ordering process. Let’s get started on building RV storage for you today! Share the post "Building RV Storage for Home or Profit"